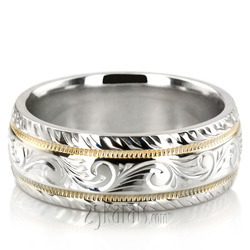 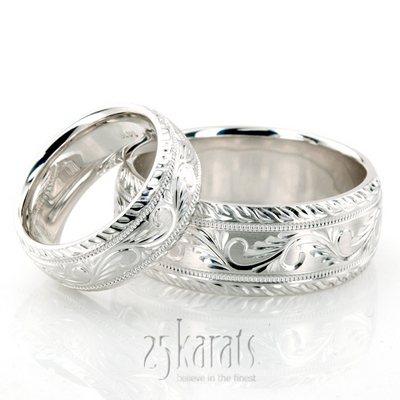 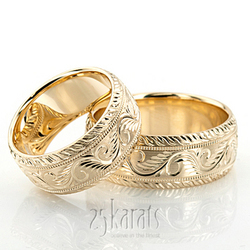 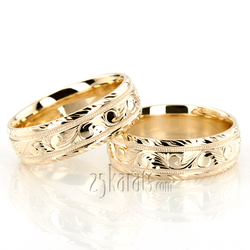 An extravagant design, this Hand Engraved wedding ring has a gorgeous leaf motif and two milgrains close to edges. 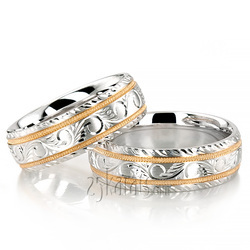 This band is available in 6, 7, 8, 9, 10mm. 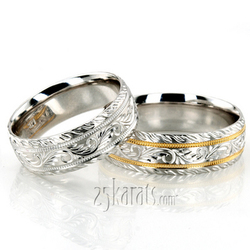 The band is satin finished, with milgrains. Total Gram Weight*: 24.42 grams.